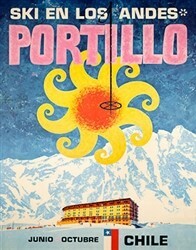 Available in two sizes: 20 x 30 in. & 24 x 36 inches. 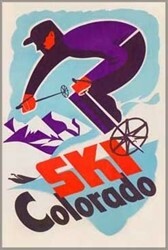 Ski Colorado Poster represents all the ski areas in the state of Colorado which include Aspen, Snowmass, Aspen Highland, Buttermilk, Powderhorn, Vail, Beaver Creek, A-Basin, Cooper Mountain, Breckenridge, Keystone, Crested Butte, Telluride, Monarch, Wolf Creek, Purgatory, Winter Park, Sunlight, Silverton, Steamboat, Ski Cooper, Sol Vista, Loveland, Eldora, Howelson Hill and Echo Mountain. 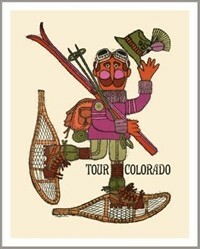 Colorado boosts some of the best skiing in the US with lots of sunshine and dry powder snow.